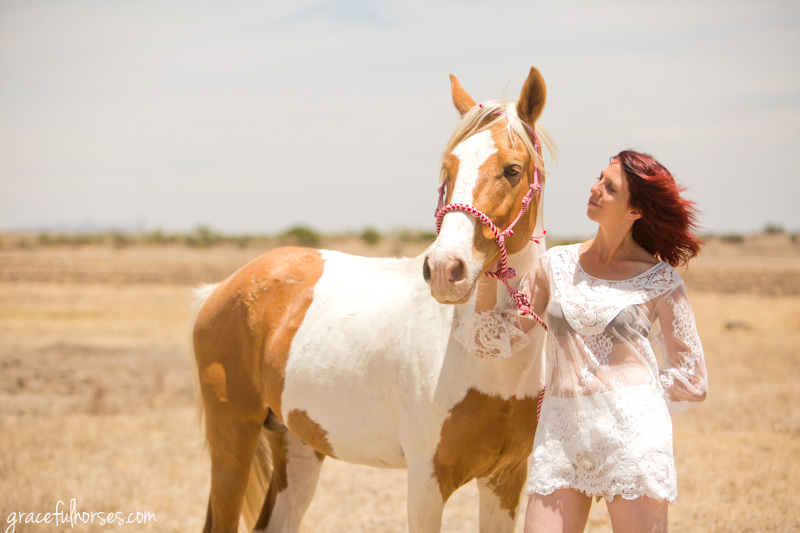 Jenny’s story is one of those examples of how horses can change lives. Really turning them around. Especially when one listens to what the heart is saying. And horses are our big teachers for that. Connecting with them leads to our own connection with the soul’s desire, spoken through the heart. All we need to do is staying open to that voice. And then following its messages. What can happen as a result can exceed our own vision we may have had about life up until that point. 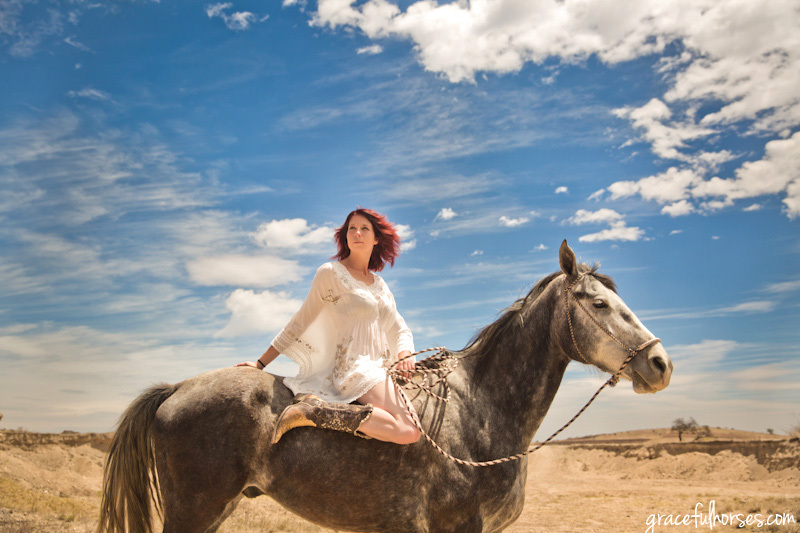 Jenny’s love for horses and riding brought her to Rancho Las Cascadas about 7 years ago. Wrapped in the magic of the place and its people, she returned a year later…and stayed. Not only that, but she is now married with a lovely Mexican man and they have two beautiful daughters. She would not trade her life for anything else in the world! Jenny is Rancho Las Cascadas‘ Client Relations manager. With a passion for great service, she has a special way to interact with all those booking a vacation. Every day she makes sure everyone gets the best out of their stay. She knows all the horses very well and sends out the Rancho guests with their best possible equine match. 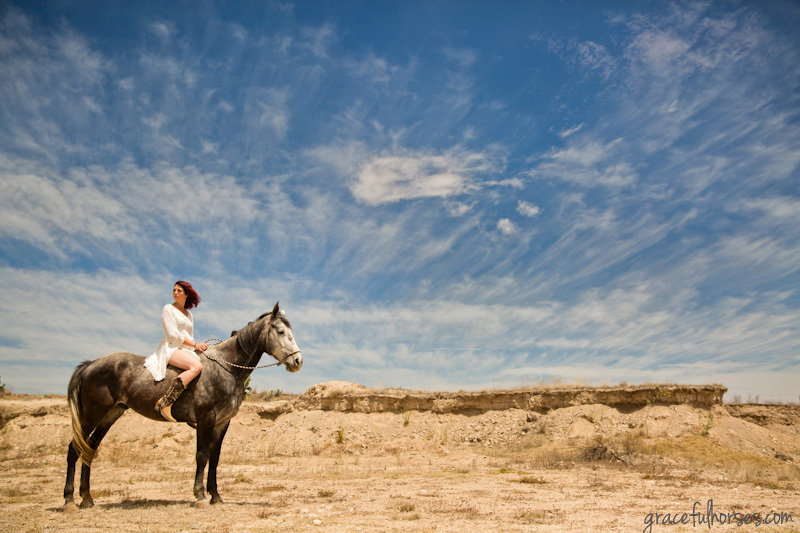 Having ridden since her youth, Jenny is amazing around horses. One lovely spring day this year we went out for a special photo shoot. Needless to say the whole experience was pure creative delight, as Jenny made it so very easy for me. I would only suggest little things here and there and magically, she and the horses made it happen. That is the case when a real human-horse connection is in place and one knows how to ask the horse gently and politely. And Jenny is an expert in that. 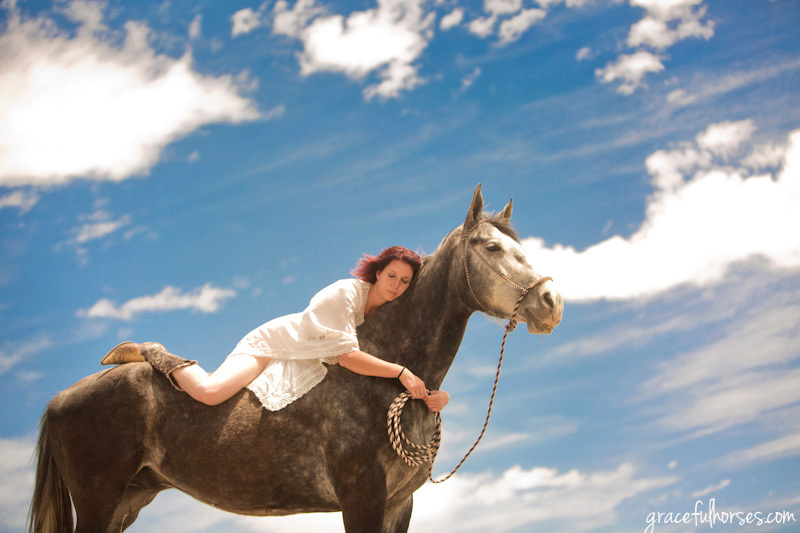 The result: a breathtaking collection of equine portraits with a ‘boudoir flavour’. Something I really enjoyed doing and hope, so did Jenny and her two equine partners: Bronco (the grey gelding) and Allegro (the Paint stallion). 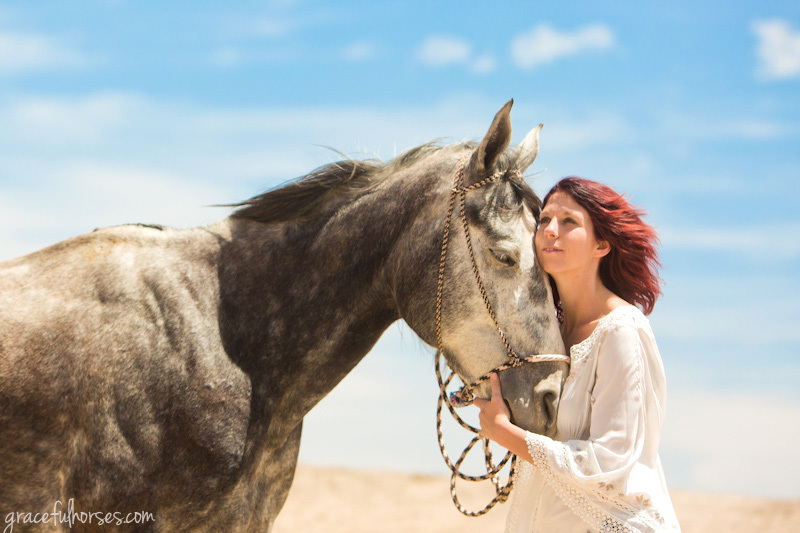 Beautiful photographs, you can really see the connection between the horses and Jenny. 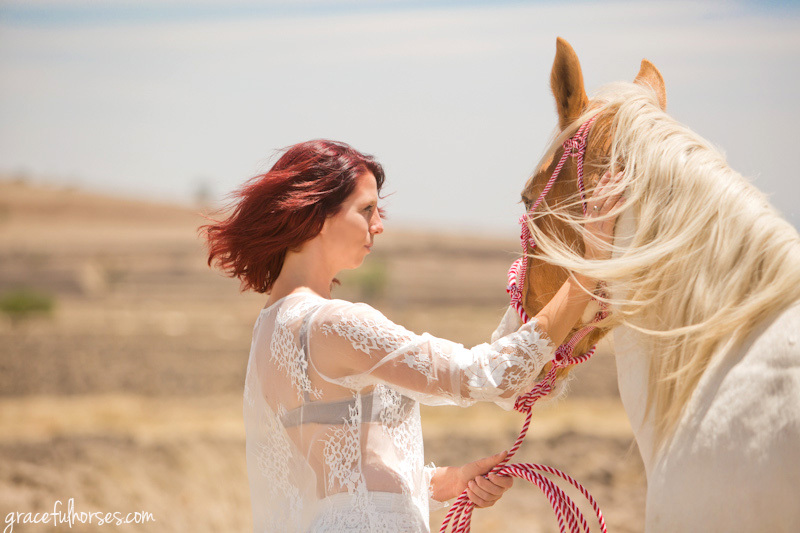 A gorgeous display of trust and love in a horse and rider partnership.